You may have heard about dabbing – a way of consuming herb concentrate that gives you an immediate, long-lasting, mind-blowing experience. If your first thought was “sign me up Scotty”, and you’re wondering how to get started dabbing, you’ve landed in the right place. Here at Loto Labs we’ve put together the top questions most first-timers have about dabbing, and some tips you’ll need to know to have a solid first experience. How exactly does one “dab”? Dabbing usually involves heating a chamber (sometimes metal or glass) with a blowtorch until it’s hot enough to vaporize the moisture in your concentrate almost instantaneously. Then, the “dab” – a small amount of concentrate – is placed in this chamber, and the resulting vapors are inhaled. Because concentrate has a higher amount of active ingredients and purity, you need very little product to get a euphoric feeling with dabbing, and if it’s your first (or even second or third time) take it easy until you gauge your tolerance levels. Like anything, safety when dabbing is related to your knowledge and experience. If you use too much, or mishandle your blowtorch, things might not go well. But really, a little common sense goes a long way here, and most individuals experience dabbing without issue. What we can’t stress enough, is the potency of your session is going to be much higher than you would experience with regular old dry herbs. If you’re still new to vaping herb, you may want to take it slow and learn how your body reacts, allowing you to appropriately pace yourself during sessions. Another consideration when dabbing is the purity of your product. Never purchase homemade concentrate; these may still contain combustible solvents. Even a small amount of leftover solvent could cause an explosion….the last thing you want near your face. If you choose your concentrate carefully, however, combustion shouldn’t be a concern. There are many different devices available for dabbing, and you can buy them as a set or as individual parts. If you want the easiest, fastest dab experience, try the all-in-one torchless dab rig, Loto Legend. But I thought I needed a blowtorch to dab? Nope. Not unless you want to go old school, which is a totally acceptable option. Who doesn’t love using a rotary phone or fax machine? All jokes aside, the latest tech in the vaping industry is induction for vaping concentrates. To experience the full power of induction, check out the Loto Legend, the newly released dab rig from Loto Labs. Unlike most dab rigs, the Legend reaches full power in under 10 seconds, thanks to patented non-contact induction heating technology. It uses non-contact heating and has no exposed heating coils, providing a safe, clean experience with minimal cleanup. Savor every terpene. Enjoy the full profile of your concentrates like never before. Bring dabbing out of the garage with the Loto Legend. How else can I dab? If you already own a bong, you can use that to inhale the vapors from your dab. If you don’t, you can buy either a bong or a “water pipe” – it serves the same function, but is created specifically for dabbing. You’ll still need to buy a nail whether or not you have a bong. 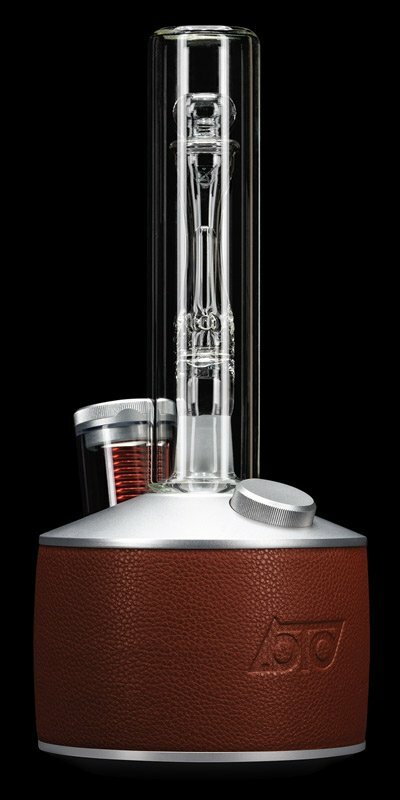 You can buy a higher priced one with a “dome,” to catch more of the vapors from your dab, or a less-expensive version without a dome. Next, find a good blowtorch. Many dabbers like creme brulee torches, since they’re small and easy to use. To manipulate your extract and place it on the hot nail, you’ll need what’s called a “dab tool.” This is simply a long metal piece that helps you precisely place the dab on the nail at the moment you need it. Finally, pick out some concentrate. Generally, oils are easiest to dab. CO2 oil is a popular choice; rosin is more expensive, but also more pure. BHO is also a common extract used. It should be noted that some oils can also be vaped and oil concentrate cartridges are a thing. You can also use wax (it’s a bit more challenging, though) or budder (expensive, but the best way to measure out the same amount of extract each time). Shatter is one of the most challenging to dab, so if you’re new to dabbing, we recommend you start with one of the easier forms. That, honestly, depends on your concentrate. Different forms of concentrate have different amounts of active ingredients per ounce, so some will need less than others for the same effect. In general, all concentrates only need about a tiny crumb-sized amount to give you a pretty intense experience. Thanks to modern extraction methods, dabbing provides one of the most enjoyable experiences available, so sit back, relax, and enjoy the dabbing experience. It’ll be a trip you never forget. And if you’re ready to elevate your dabbing experience, give the Loto Legend a look. 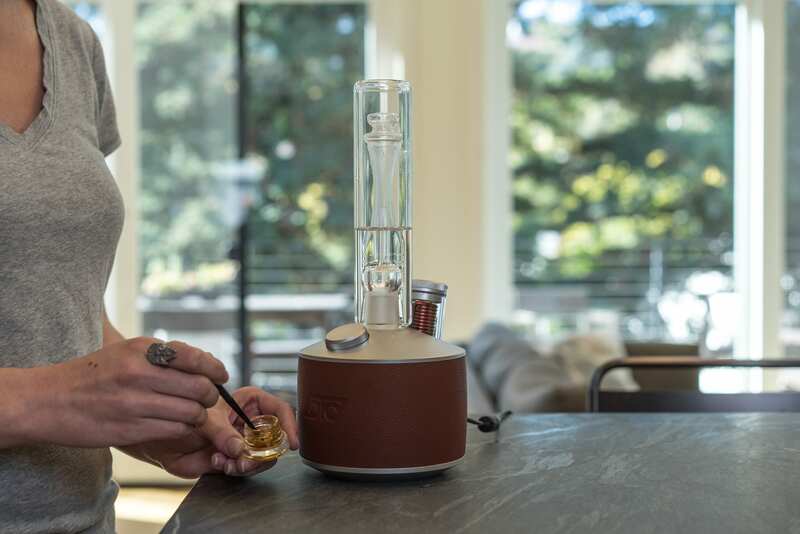 This dab rig from Loto Labs is designed to provide a superior vaping experience, full-bodied flavor and a session you won’t forget.